Semi-Custom Packaging™ is when stock packaging products are custom printed after they have been manufactured. This differs from fully customized packaging where product materials are custom printed and then later formed into the final product. With semi-custom printing, you can choose a stock packaging item like a bag or box, and then custom print it with your logo or design. You can choose your printing colors, foils, and designs much like you can with fully custom printing. MORGAN CHANEY CAN HELP SMALL BUSINESSES LOOK BIG AND HELP BIG BUSINESSES BUY SMALL. We understand that businesses have limitations when it comes to budgeting, storage space, lead times, and packaging quantities. 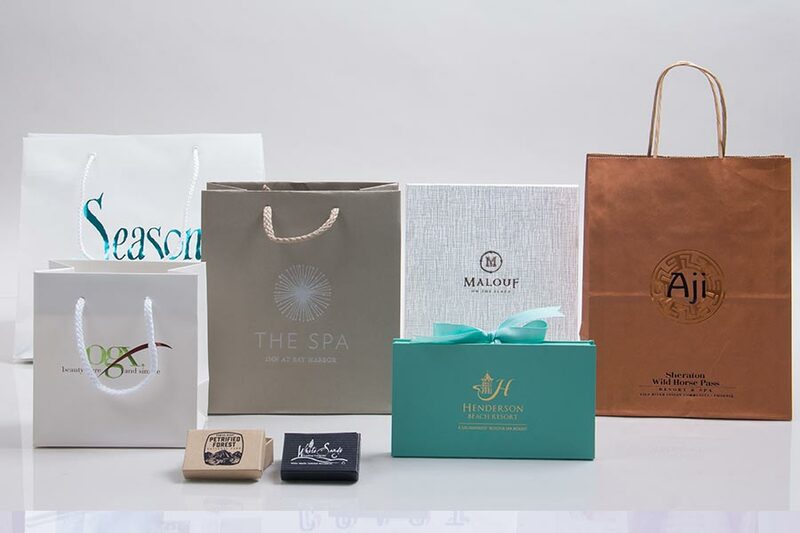 For this reason, we offer a Semi-Custom Packaging™ program that allows businesses big and small to order custom printed packaging in smaller quantities with shorter lead times. Semi-Custom Packaging™ involves printing on packaging products that have already been made, which eliminates the lengthy custom manufacturing process. These items can be custom printed using foil hot stamping, ink printing, and digital transfer printing. This is a great solution for small businesses and special events when you just need lower quantities of packaging. 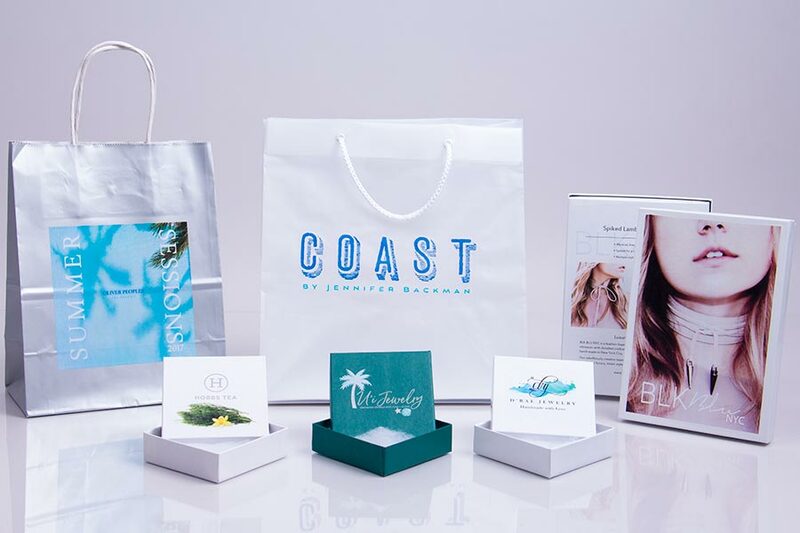 We offer custom printed packaging products such as paper shopping bags, eurototes, plastic bags, gift boxes, jewelry boxes, corrugated boxes, mailing envelopes, and more that can be custom printed in smaller quantities than total custom packaging. There are many packaging products readily available to be printed on, and there are many color options to choose from. By printing on packaging products that have already been made, you avoid the higher minimum quantities required to make and print the products in one operation. There are some printing limitations with Semi-Custom Packaging™, including the print area and number of colors that can be printed. However, most people can hardly tell the difference between a custom product and a high-quality semi-custom product. You can still use your company’s logo or design and colors to create authentic and original branded packaging. If you need help designing the graphics for your custom printed packaging, our in-house graphics department can assist you with fitting your graphics to the standards and sizes needed for your packaging items. Our experienced packaging consultants can help you choose the packaging that is right for your company and within your budget and limitations. 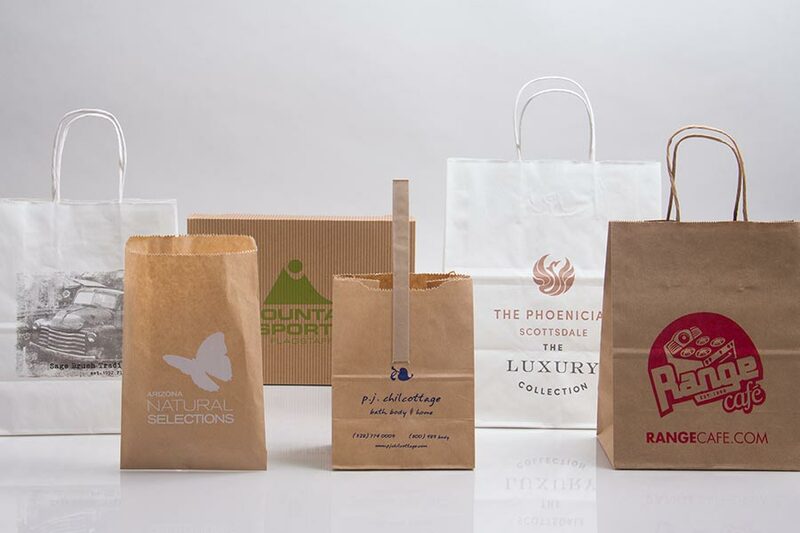 By utilizing Semi-Custom Packaging™, you can have a matched packaging program at a reasonable budget that makes a big impression on your customers.